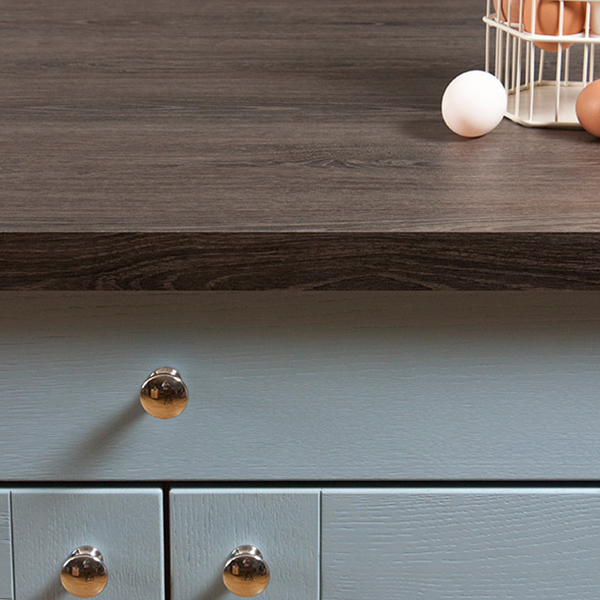 While the style and colour of your kitchen cabinets will be the key decision you make, your choice of worktop will have a significant impact on the overall look and feel of your new kitchen. 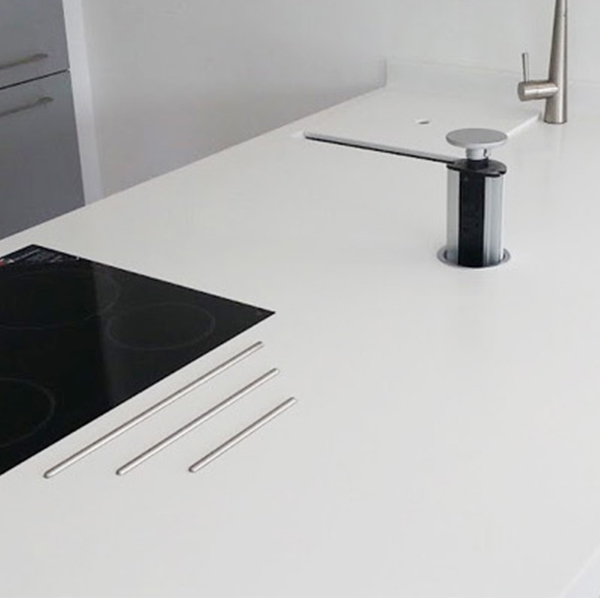 Like your choice of flooring, the worktop sits on a horizontal plane and is therefore very visible, so it's important that you consider this at the very start of the process. 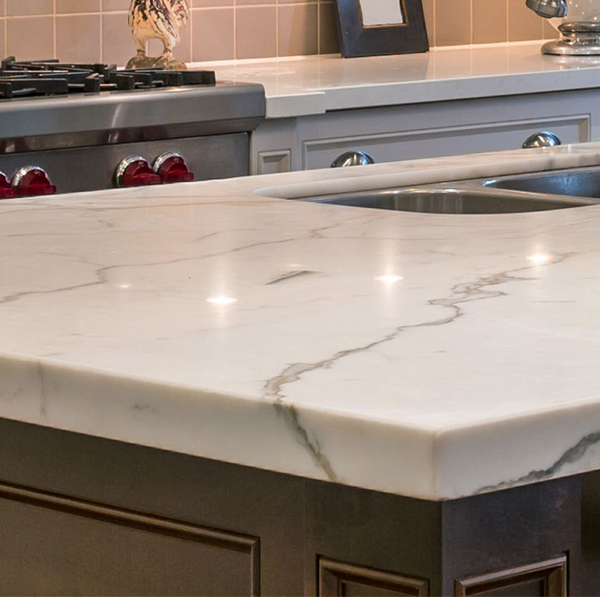 Worktops are the real workhorses in any kitchen and are the products that take the most punishment during the life of your kitchen, so choosing the right one is really important. In recent years, the materials available have changed and there are many different styles and colours available for all budgets. 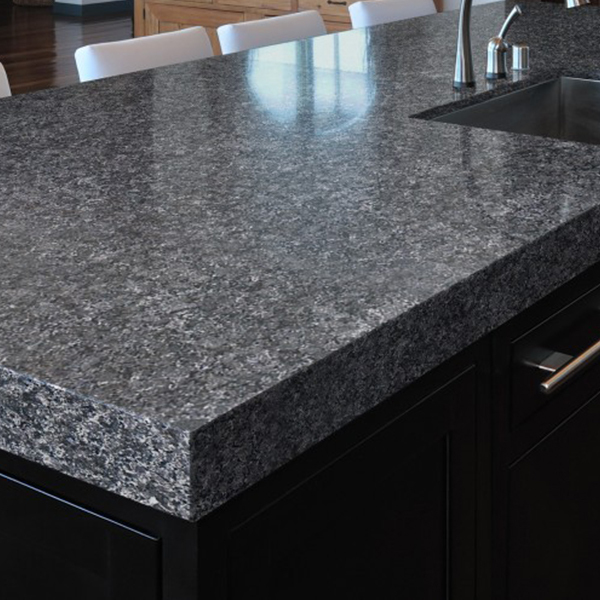 The most popular materials for kitchen worktops are laminate, granite, solid wood, marble and composite stone, all of which have different advantages and disadvantages, so it’s important to consider these alongside how they look. 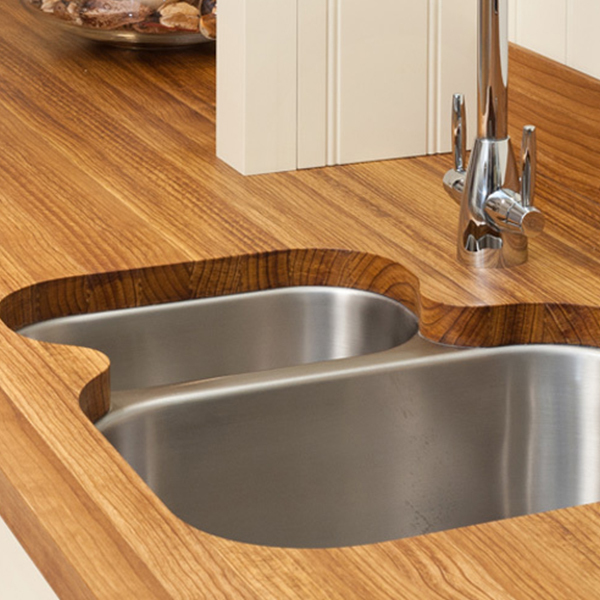 Solid wood is a good option as it’s easy to maintain, but be aware that many of the made-to-measure worktops including marble, granite and Corian are quite expensive. If your budget is tight then consider one of the many look-alike options, such as pre-cut laminate worktops, which will still look gorgeous and have the necessary durability without the hefty price tag. 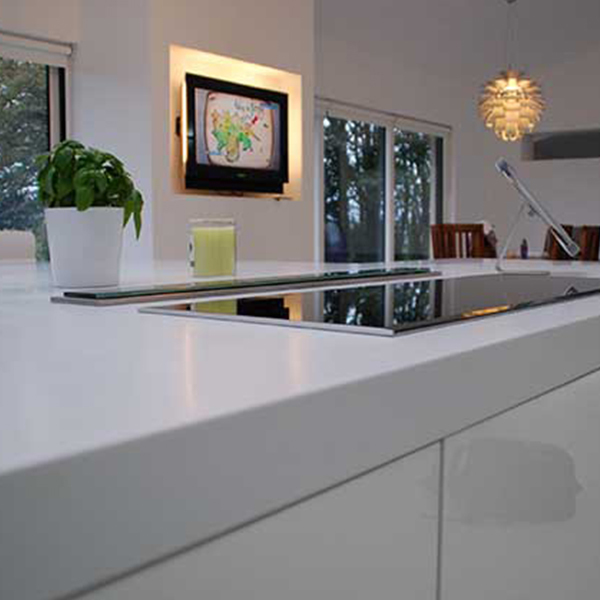 Solid surface worktops offer a smooth, satin looking, durable surface in a huge range of great colours. They are man-made, generally constructed from a mix of minerals and a resin and the seams are almost invisible so they are perfect for L and U shaped kitchens. Advantages - Very tough, hygienic, easy to look after and scratches can simply be polished away. 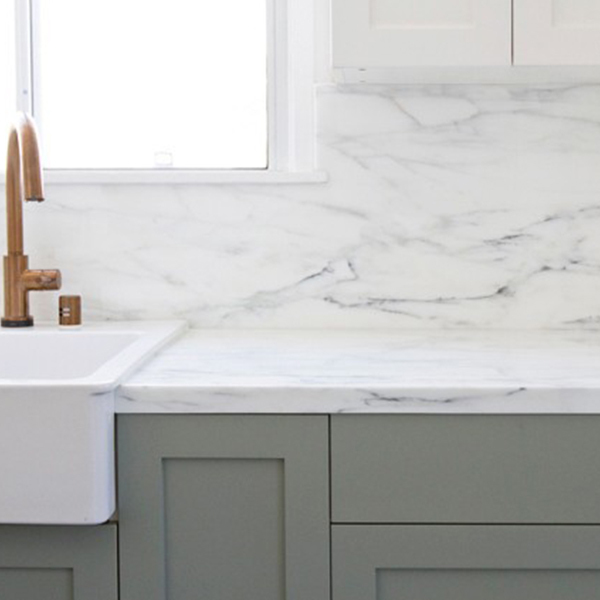 It can be formed into any shape required, including sinks and up-stands and the colour runs all the way through, so it’s possible to carve out draining boards. Disadvantages - Some of the darker colours are not ideal for kitchens as scratches will be visible. The area around a sink can discolour or crack over time and be aware, it can’t take hot pans! Natural timber is understandably very popular and there are many different types of wood available including Oak, Maple, Walnut and Iroko. 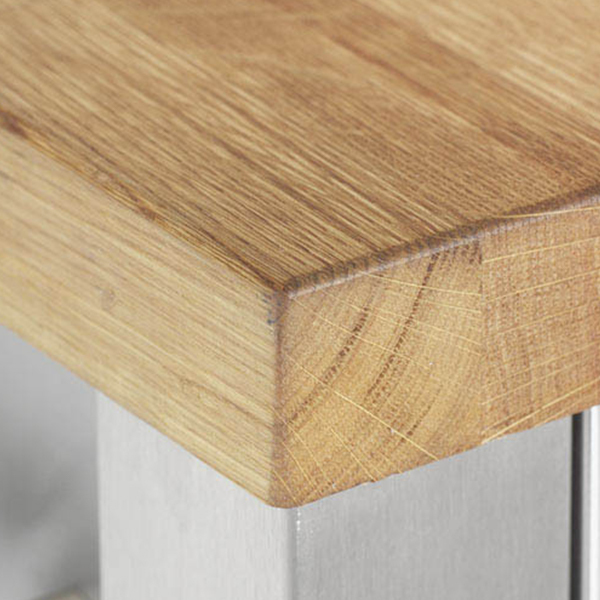 Solid wood brings a warmth and texture to any kitchen and it suits all kitchen styles. It can even be incorporated into a contemporary style by using glass or stainless steel to add a warm feel. 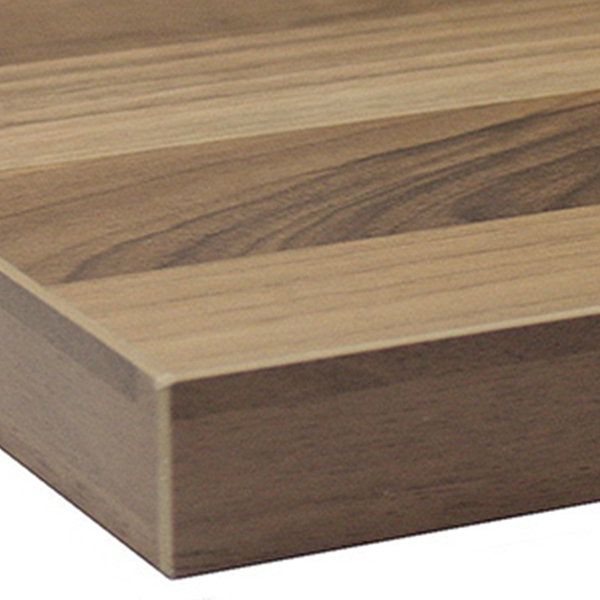 Advantages - Solid wood is naturally antibacterial, relatively simple to install and easy to repair. As long as you oil it regularly, it will be robust and maintain its beauty for many years. Disadvantages - It does need to be oiled at least twice a year with either a Teak Oil or one of the many other counter-top oils that are available. Be aware that solid wood can be easily scorched, stained and scratched (don't use it as a chopping board) and it's not good with water. Advantages - The wow factor as each worktop is unique and it's available in a wide range of patterns and colours. Disadvantages - It’s delicate, be very careful with red wine or citrus juice, it's easily scratched and unrepairable. 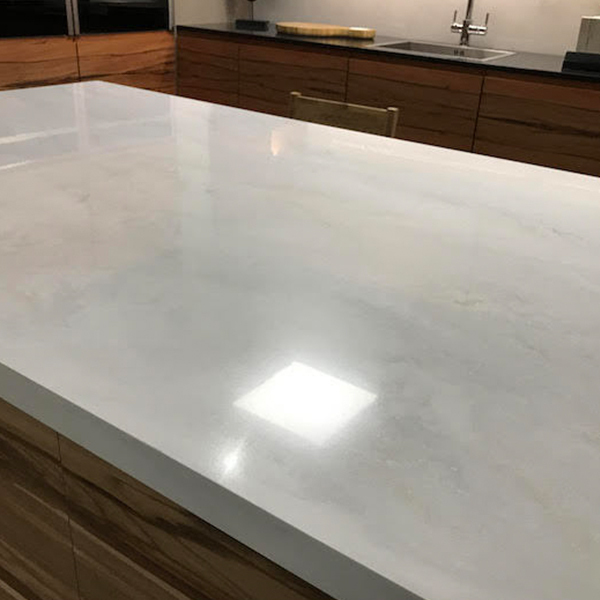 The technology behind Laminate worktops has come a long way in the last 10-15 years and there are now a wide range of excellent versions available that effectively mimic wood, granite and even slate. 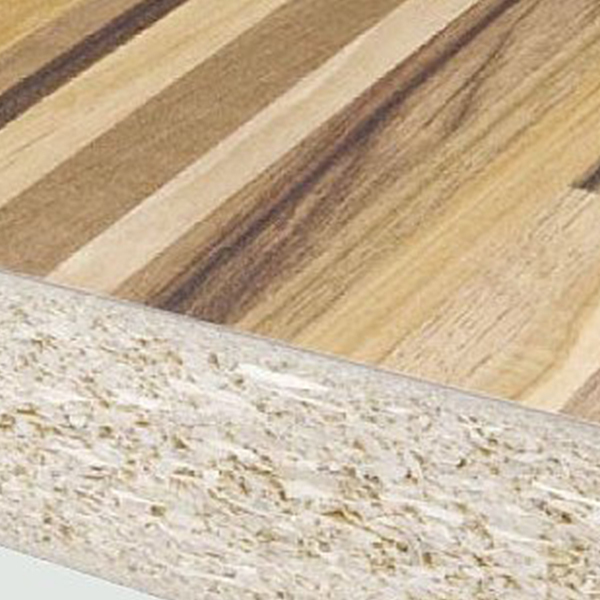 Laminates are made by fusing multiple layers of impregnated paper under high pressure and temperature and bonded to a substrate. They are resistant to impact, scratching and moisture, they are non-porous, offer easy maintenance and come in lots of design and colour choices. It's without doubt the most cost effective option available and although it might not have the wow-factor of marble or the beauty of solid wood, it's a great safe option, although we would suggest going for a matt finish, as it looks much better than gloss. Advantages - It’s relatively low cost, and perfect for light to medium use kitchens. The huge range of finishes and colours means it’s easy to create the perfect look for you. Disadvantages - It's not the most durable surface, the joins are visible and it can easily be scorched and scratched and if damaged, it can't be repaired. 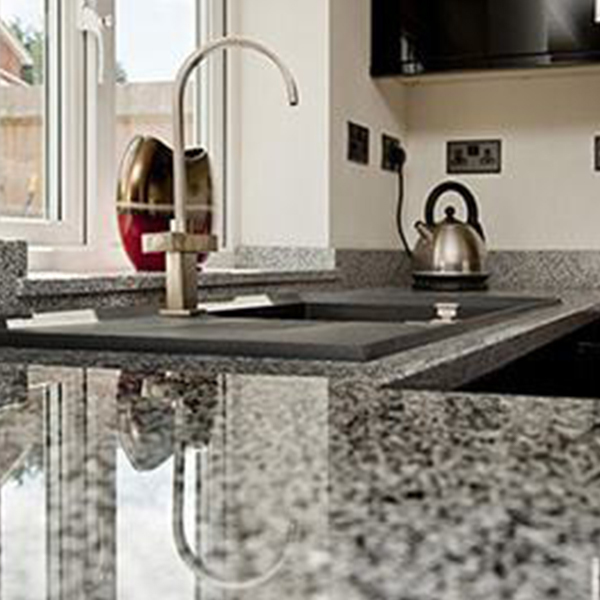 Granite is one of the most popular materials for worktops and gives a quality feel to any kitchen. The vast range of shades and patterns available means each surface feels unique, and there are choices perfect for both contemporary and traditional kitchens. 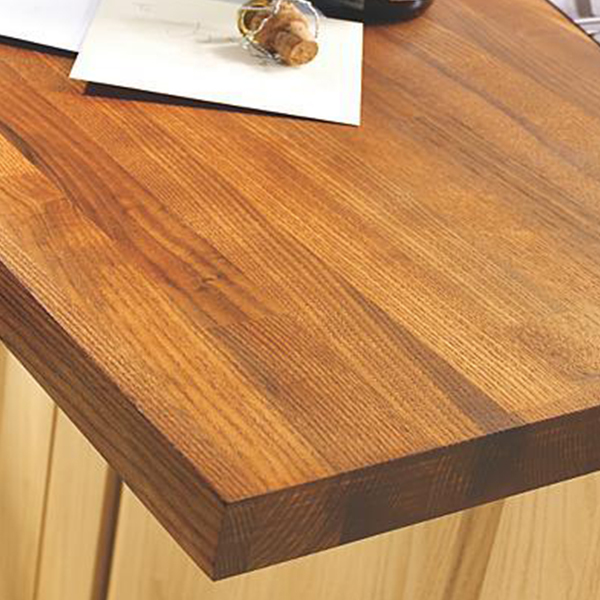 Both polished and honed surfaces are available – or a polished top with a honed edge, for instance. 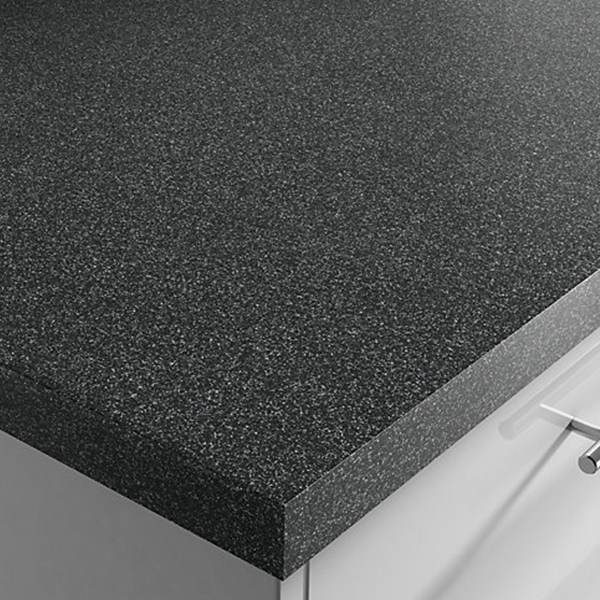 For those who love slate, which is too soft for a worktop, it’s possible to hone dark granite to look just like it, but with a much tougher finish. Advantages - It’s tough, resistant to heat and mould and is often cheaper than engineered stone and composites. 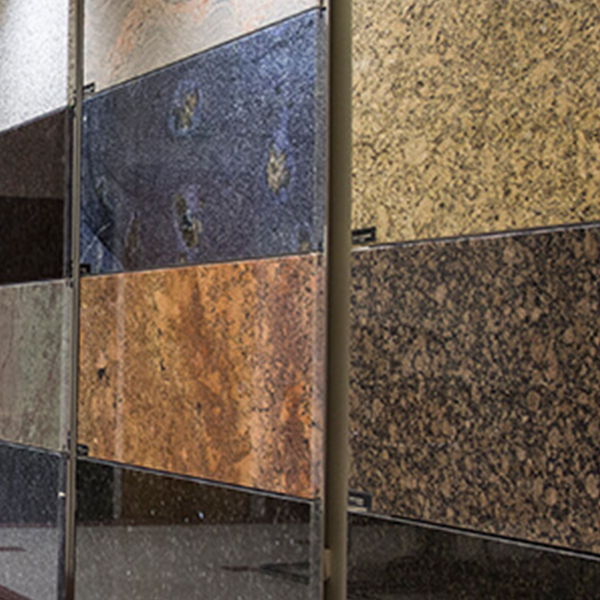 As it's a natural product, every granite worktop is totally unique. Disadvantages - It is porous, so it will need to be sealed every six months. It’s very heavy, so needs to be sitting on good quality cabinets and if it gets damaged, it can’t be repaired.